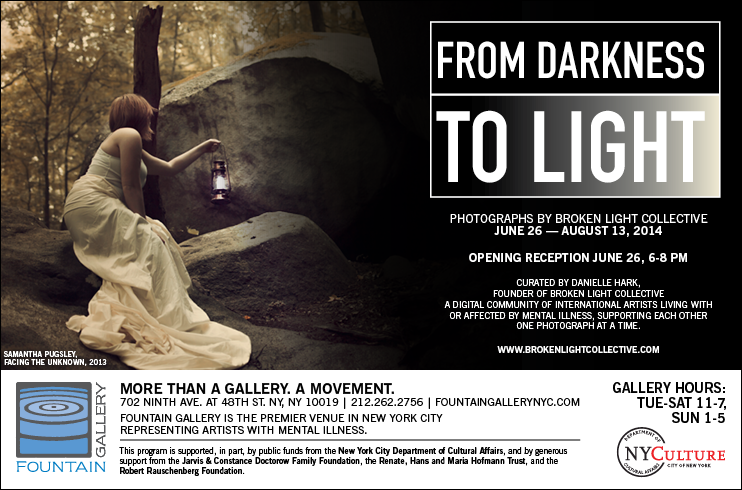 Our first LIVE gallery exhibit ran at the non-profit Fountain Gallery in NYC from June 26th – August 13, 2014! Beautiful prints sponsored by/printed by AdoramaPix! Here are some photos from this special event! I am so proud oh my Gosh. I can’t believe I was chosen to be a part of this. So thankful. I still can’t quite believe it, either. I feel so blessed! If the woman underwater picture didn’t sell…people either have no eye for art or they were broke 🙂 Also, the woods picture was wonderful. I wonder if packaging them as screen savers (with artist permission) would be another alternative & more affordable for those who can’t buy the prints? Just a thought.